Some of my favorite bands are ones that not only move me with their music but also allow me to learn. I like the unexpected event of putting on a new piece of music and hearing sounds that I like but then getting poked by subject matter on which I’m a little in the dark. Subrosa’s “No Help for the Mighty Ones” is one of those albums, as I learned more of the tale of Tere Jo Duperrault and the 1961 Bluebelle tragedy, an event I had heard about but didn’t dig into until I experienced this record. I’m pretty sure I’m still gleaming facts and oddities from Cormorant’s “Dwellings,” a record so packed with historical storytelling that each song could have you tackling text upon text to learn as much as possible about the subject at hand. For a classic example, who can honestly say an Iron Maiden album hasn’t sent you to Wikipedia to find out more, probably about some battle and its aftermath? I know I sound like a hyperbolic machine the past couple weeks, but hey, it’s not my fault a lot of great, emotionally cathartic music has come out in that period. So here goes: If the year were to end today, “Embracing the Lightless Depths” would be one of three candidates for my top album of the year. It is one of the finest, most meaningful submissions to the doom and funeral doom categories in this young decade, and it is one that demands your patience, undivided commitment, and total devotion for you to absorb it and understand it properly. That might be too much work for some people, and I get that. But the records that stick with me and make indelible impressions are ones of this nature where I have to develop a relationship with the music. I’ve done that with all of Aldebaran’s work, but never more so than I have with this incredible, Billy Anderson-produced document (out on Profound Lore, with vinyl expected later on Parasitic). There is a gorgeousness and a sorrow to these songs that is very tangible, like you could reach out and touch the emotions. It’s heavy and suffocating, like gravity turning against you and pressing your helpless body against the earth’s crust. You will feel that presence and power if you allow this record to speak to you, and while that all sounds very painful, the submission to the planet’s implosion obviously is metaphorical. There also is a sense of isolation in these songs, like you’re a lost entity floating through space, grasping at a meaning that may never surface or a home that will never open its arms to you. You might find your interest piqued by the song titles, which have connections to the short story “An Inhabitant of Carcosa,” written by Ambrose Bierce, whose post-apocalyptic tale and fictional planet influenced many writers, Lovecraft among them. You don’t have to check reference points, but it might help if you want to totally be at one with this record. Um, again, metaphorically. Don’t do anything gross. 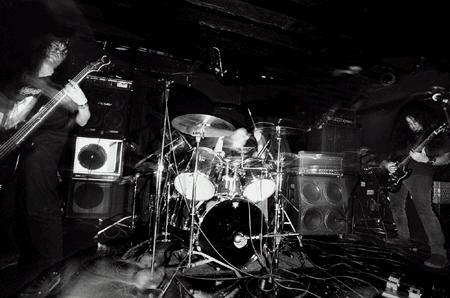 Three interludes help separate yet link two massive dirges, and those smaller pieces are all instrumental and vital to this record. 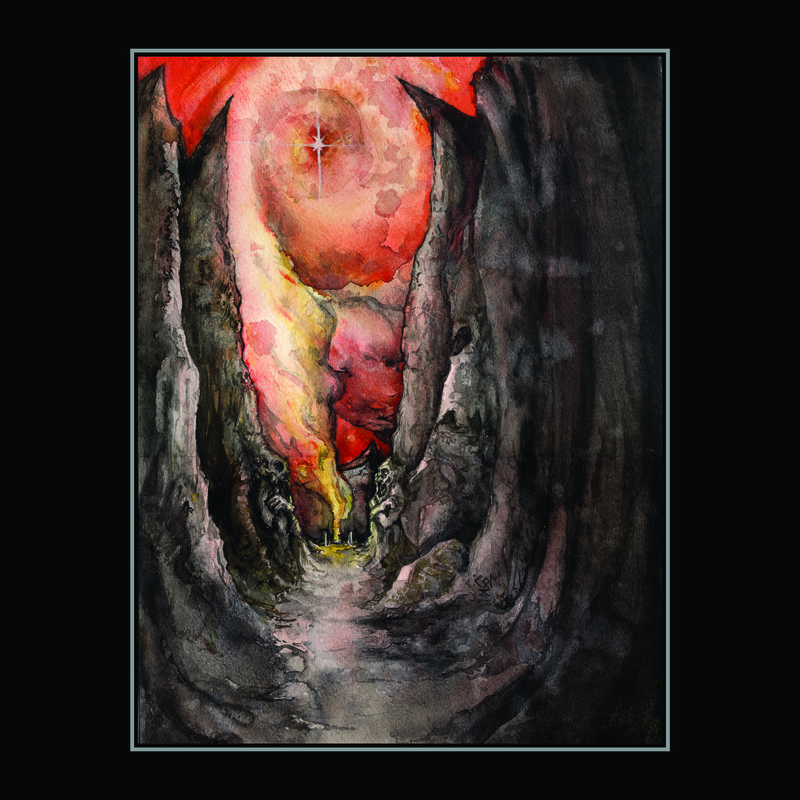 Opener “Occultation of Hali’s Gates,” “Occultation of Occular Tari,” and closer “Occultation of Dim Carcosa” are clean and haunting, making you feel totally alone yet oddly at peace. They seem inspired by the aforementioned Bierce text and Lovecraft’s later usage, as do the epics that float among them. “Forever in the Dream of Death” is calculating, builds itself slowly, and gushes with emotion. It runs more than 25 minutes, and each second is used expertly to fill in the dark corners and express total morbidity. Like another great funeral doom band that came before them in Asunder, Aldebaran make you feel and ache for the entire piece, through each titanic shift and guttural growl, and even when they let you breathe a little bit – like during those whispery segments, that remind me a bit of Agalloch — it’s with the knowledge that you soon will be crushed again by their supreme force. “Sentinel of a Sunless Abyss” is the other giant, running about 29 minutes with just a bit of a faster pace in spots. There are beautiful melodies buried in this black hole of sorrow, and they always return to engulf you and pull you back into the grime. There are particularly interesting and unexpected pace shifts at around the 16:40 and 25:42 marks that really struck me, and the melodic passages that trickle out of each give the slightest glimmer of hope before that pilot light is snuffed again. Each growl seems resigned to a dark fate, and the entire piece sounds like the final voyage of a soul desperately in search of an origin and overall understanding. At least that’s how I interpreted it; maybe you’ll see it differently. Aldebaran are one of doom’s great hopes, a band that’ll keep the flames burning ever so slowly yet massively. Their words are just as important as their music, and they have captured a means of storytelling and emotional interpretation that few bands ever come close to realizing. “Embracing the Lightless Depths” has “career milestone” written all over it, yet to decide that Aldebaran can’t achieve even greater heights would be foolish. Look how far they’ve come in such little time. They’ve created a masterpiece, and yet there’s so much that remains to be explored.